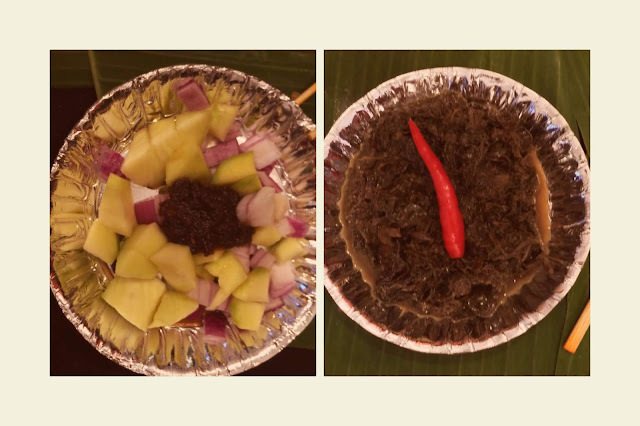 What started out as a military origin style of eating food is now popular not only in the Philippines but also in New York, UAE, New Zealand and other parts of the world. 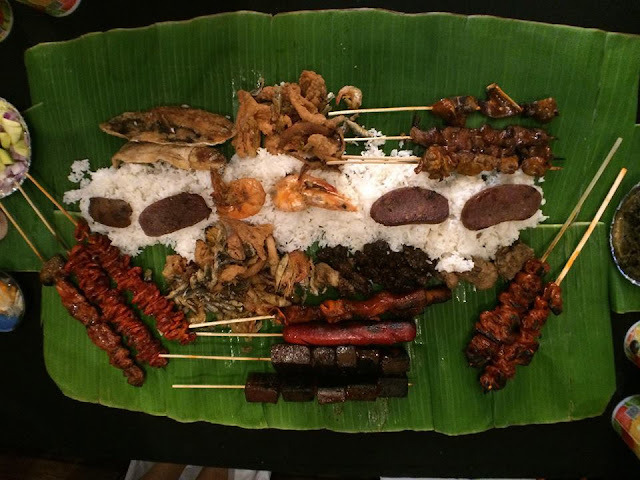 Boodle fight fosters camaraderie, brotherhood, and equality. Naaaah... maybe to the military but for us regular Juans, we simply love to eat with other people and eat faster than others. It's like competitive eating with the prize of getting full and satisfied first. Why eat normally when you can fight for it,eh? Sounds crazy..Yes! But typically this is served to grumbling stomachs so there's no room for slowpokes or you'll miss out on the good stuff. 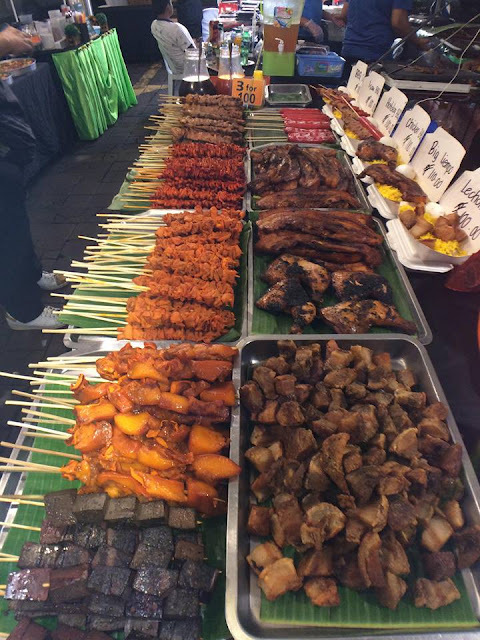 Filipinos' love for food is evident in our cravings. 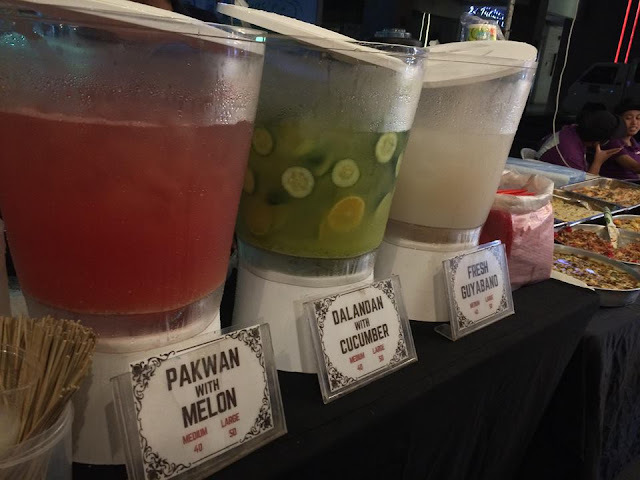 Food parks has the country going berserk over a variety of food in one place and it went successful for a while. It's about time a new contender arise to the need for a new trend. 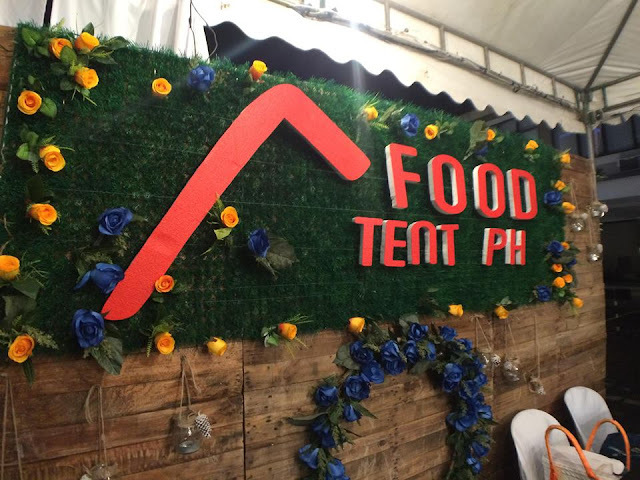 Food Tent PH is an oasis for the bored, the food adventure seekers, the happy eaters. One night after visiting Ayala malls the 30th, I stumbled upon this place in Robins Design Center which is right across it. In a tent at the parking lot (hence the name Food Tent), only a few stalls are setup at the moment since they have started out just recently. 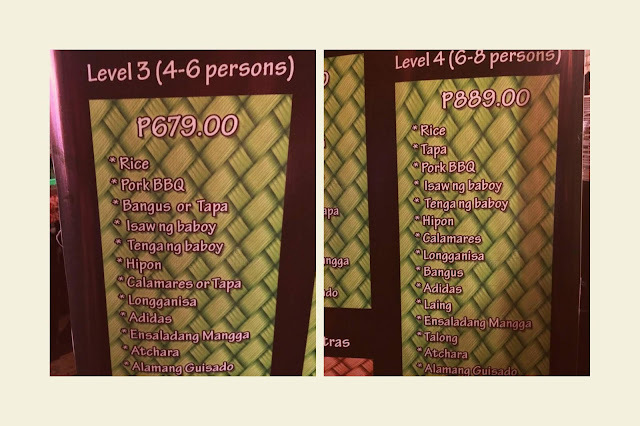 So my friends and I ordered their Boodle style meal good for 4 composed of Rice, Pork bbq, choice of Daing na bangus or Calamares, Adidas (chicken feet) or Longganisa, Laing or Tapa, Eggplant, Atchara, Ensaldang mangga, and Alamang Guisado. The mere mention of these things gets me salivating. 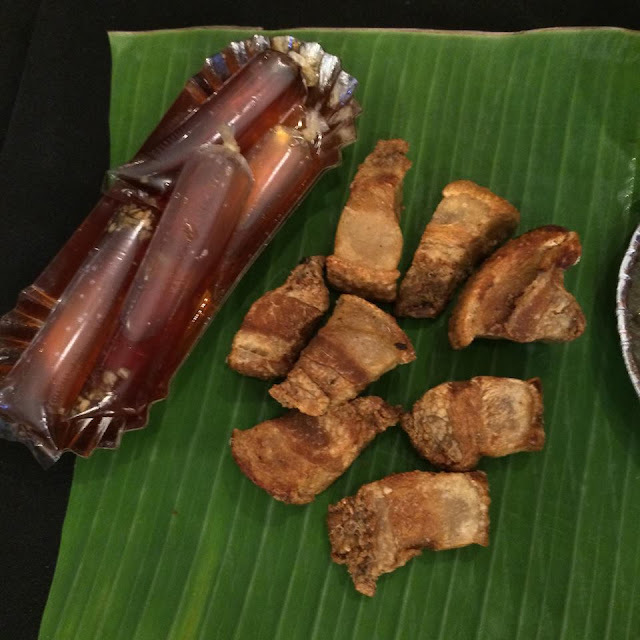 We also asked for some grilled hotdogs, betamax (yep, those boxed chicken blood), chicken gizzards, lechon kawali, pig ears, and Dalandan with Cucumber drinks plus an Apple green tea bowl. 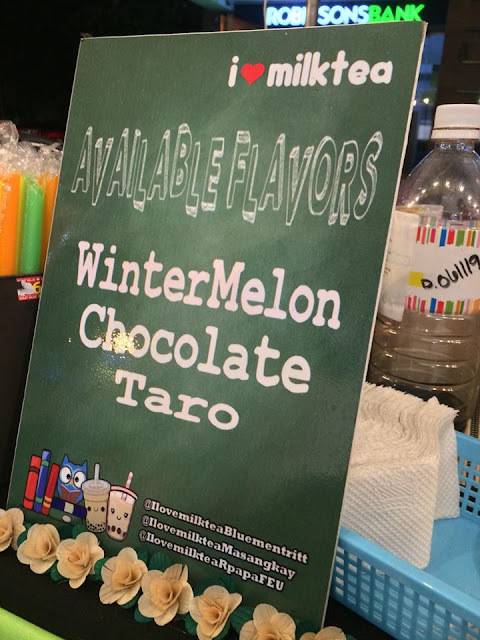 If that wasn't enough, we could order pizza, pasta, and liempo too. 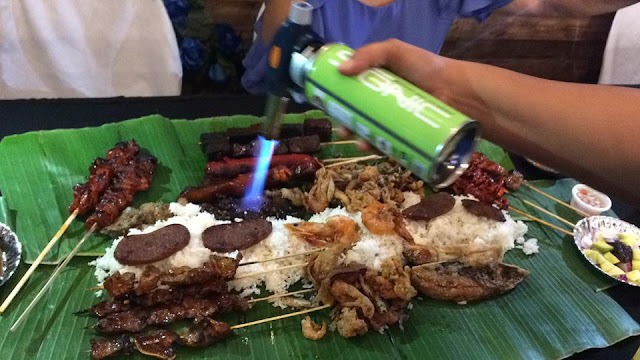 An option to heat the food by flame astonished me since I never had my food prepared that way. It was like a mini flame thrower I see in movies and the food got hot instantly. 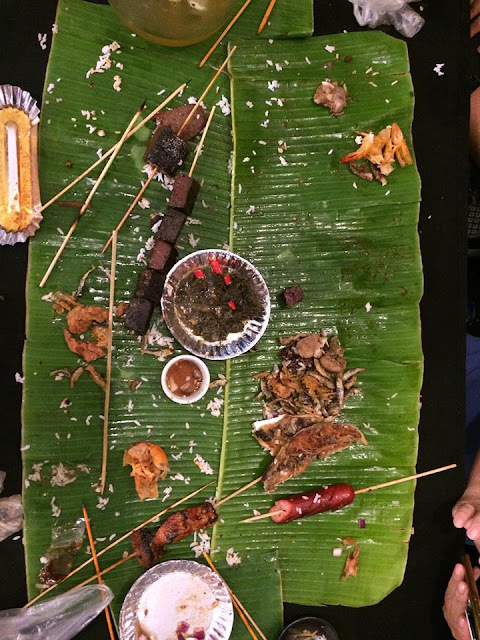 Our food was set up on banana leaves on a long table and like a regular Boodle fight, rice is in the center lined horizontally surrounded by the viands, no spoons and forks, and an option to eat with bare hands or plastic gloves. I couldn't help but feel competitive because everybody around me feels the same way. I had to make sure I take my favored viands before them. I couldn't remember the last time I ate this way but it sure was enjoyable that I forgot to drink to take it all in. Downing my cup in one take was a relief and a loud burp was necessary. I wasn't alone, though. I do not usually eat with my bare hands except if there's an occasion and this definitely was one of those. Will I be back? Hell,yeah! 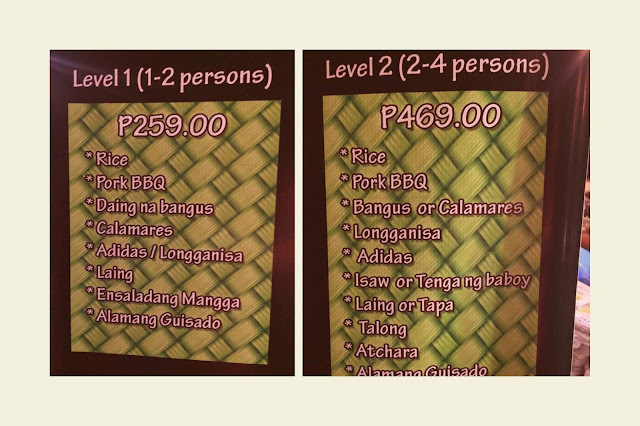 I wouldn't go there alone if I were you coz you'll be taking out the fun in boodle fight. 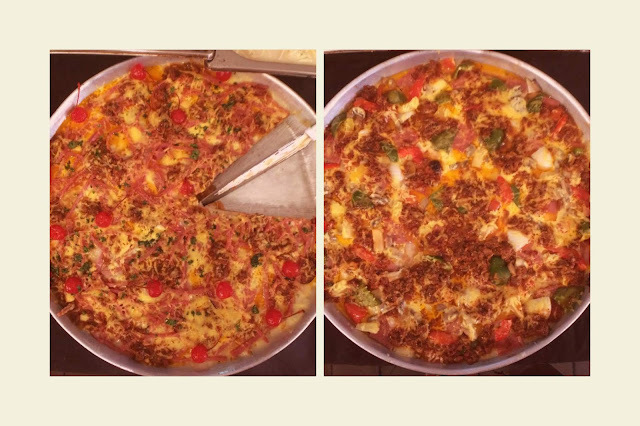 With this style of eating, the more people involved, the merrier it will be. Food tent PH is open Wednesdays to Saturdays @ 4pm to 11pm.